A design philosophy that focuses on fine craftsmanship and refined utility binds Shalini Jaikaria and Paras Bairoliya, the duo behind the label Geisha Designs. 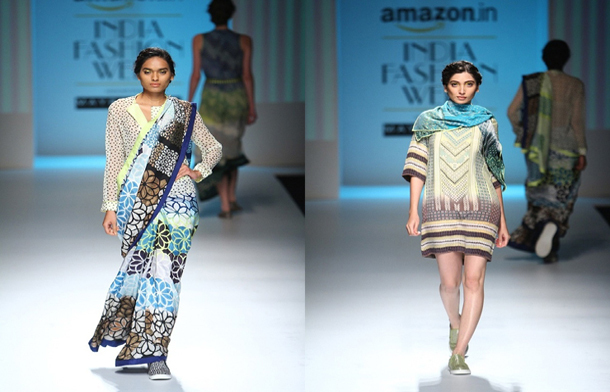 For Amazon India Fashion Week Spring/Summer 2016, the designer duo will present their collection titled ‘Be Loved’. A somber color palette of sunshine yellows, luscious pinks and cool blues with neat and precise embroideries define the romantic collection. They will also focus on a modern interpretation of classic tatting, handcrafted laces, cutwork, and appliqué.